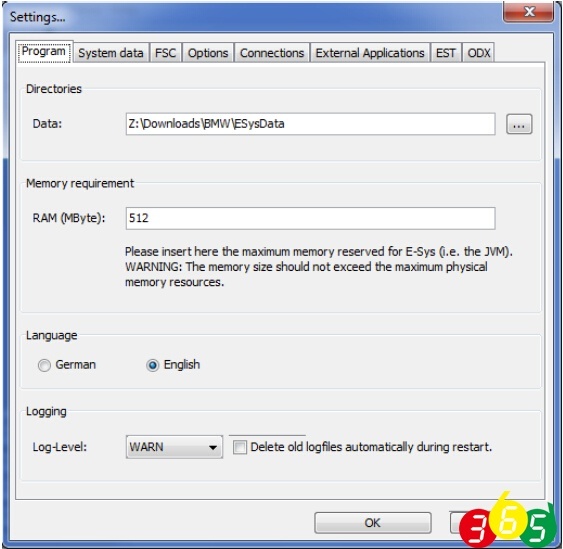 How to install E-sys coding software on Windows XP? 01) Run "\\E-sys 3.18.4\E-Sys_Setup.exe" to install program to "C:\EC-Apps\ESG\E-Sys\E-Sys.exe"
02) Copy "EDIABAS" folder from "\\E-sys 3.18.4\E-sys 3.18.4\EDIABAS" to "C:\EDIABAS"
04) Copy "est" folder from "\\E-sys 3.18.4\est" to "C:\ESysData\e-sys est"
05) Copy all "psdzdata" subfolders (all 7 Folders) from "\\2_46.3 psdzdata\" to "C:\ESysData\psdzdata\"
06) Copy the contents of the "C:\ESysData\psdzdata\swe" folder into the "C:\ESysData\SWE" folder. 07) Make sure that there is a "Dist" folder in each of the Chassis (F01/F10/F25) folders etc. (e.g. 10) Run "C:\EC-Apps\ESG\E-Sys\E-Sys.exe" (It will take E-Sys a while to write the log file) and Under Options, Settings: On the ODX Tab, set the ODX Rule Path to "C:\ESysData\Rules" On the EST Tab, set the Developer-Soft-Token EST Path to "C:\ESysData\est\Code Away.est"
11) Hit the Connect Button on E-Sys Select Target Vehicle (e.g. TargetSelector:Project=F020_12_03_503m VehicleInfo=F020) NOTE: Target vehicle for F30 is F20! 14) Please see other how-to documents regarding coding itself. a. Some modules take a long time before the changes begin working (e.g. trunk and mirror close). If still not working after an hour or so, try recoding the module again, even if it looks like the correct parameter (e.g. "nicht_aktiv") is set. b. Share any undocumneted codings with the community. 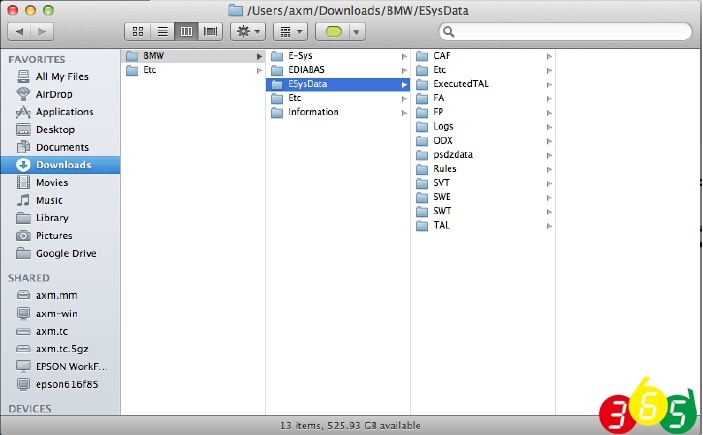 How to install and configure BMW ENET E-sys software on MacBook Pro V10? Here are the instructions for getting BMW ENET cable (Ethernet to OBD) Interface E-Sys F-series coding software running in a Virtual Windows environment running under MacOSX. Please note that these instructions have been prepared from a MacBook Pro running MacOS version 10.7.4, along with VMWare Fusion version 4.1.2 (not in bootcamp mode), running Windows 7 (x86) SP1. The configuration and instructions prepared for E-Sys can be followed exactly as they have been prepared for the Windows environment here within the virtual windows as well. Note: at the time this screenshot was captured, the Ethernet wire was not connected to the car, hence it is shows a red circle in front of the title “Ethernet”. Once connected to the car (or any active ethernet wire), the circle will be green. If disk space is of no concern, then the rest of the instructions below can be ignored. 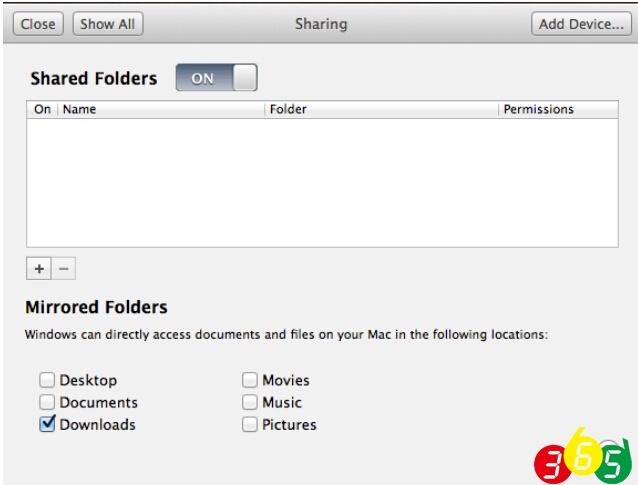 However, considering the size of the psdzdata folder (approximately 15 gigabytes and growing per release), and usually virtual machines do not have as much disk space available to them as the parent OS, one can store the psdzdata folder on the Mac side and allow E-Sys to see the files from within the virtual windows. Please note that the “username” that appears in the above two paths will be the MacOS user’s username. Also, considering the fact that the Windows filesystem does not support case-sensitivity, the folder name cases specified above do not have any significance other than readability.